Thirty years ago this month, California and the nation were gripped by recession as drivers sat in long lines to buy expensive gas – and Sacramento bogged down in political warfare over the state budget. Ushering in the Capitol’s modern era of financial dysfunction, the budget that year didn’t pass until July 13. At the time, it was an historic delay in missing the deadline to start a new fiscal year, an extraordinary event (back when) decried by editorialists around the state. Then, as now, the Legislature was dominated by Democrats, and although Gov. Jerry Brown was of the same party, fierce battles raged between the two branches of government, between the two parties and between the two legislative houses, all focused on familiar issues – taxes, state spending for schools and local government and the governor’s proposal for a “rainy day” reserve. Proposition 13 was just a year old in the spring of 1979, and the political and fiscal decisions with which the Capitol sought to manage – and to blunt – the impact of the $7 billion in statewide property tax cuts were still unfolding amid heated debate. Into the volatile political atmosphere parachuted Howard Jarvis, the irascible co-author of Prop. 13 and the cranky embodiment of the tax cut movement. Jarvis and his posse came to Sacramento on June 7, the one-year anniversary of the measure; 30 years later, the episode offers a look back in time at some hints of what was to follow. One target of his ire was Assembly Bill 8, which radically restructured California’s system of public finance and sent $5 billion from Sacramento to local jurisdictions. Still in effect in 2009, it cast the framework for many of today’s structural budget problems, by putting the state in the permanent business of financing schools, cities and counties. Surrounded on the east steps of the Capitol by dozens of boxes containing the letters, Jarvis accused then-Speaker Leo McCarthy of a “plot” to undercut Prop. 13, and got into a beef with a reporter who asked him to be specific about the alleged conspiracy. Among those watching in the crowd was Gov. Brown, who had strolled out of his office “to see what Howard’s doing.” Brown, who had swiftly abandoned opposition to Prop. 13 after passage, offered a few, lyrical pro-tax cut pearls to reporters before Jarvis showed up. “As yet, the spirit of reality has not penetrated under the Golden Dome,” he said. As Jarvis spoke, a group of mothers who’d come to Sacramento to lobby for more spending for pre-schools began shouting at him: “What about the schools? They’re ending programs to help,” a woman from Azusa hollered. Jarvis then walked into the Capitol, where he and his backers dropped off boxes of letters in legislative offices. All went well until he called on Assemblyman, later Congressman, Doug Bosco, who was meeting with a county supervisor and three fire chiefs from his district. Although she just couldn’t bring herself to say the word “no,” Sen. Dianne Feinstein finally admitted, under interrogation by the Chronicle’s Carolyn Lochhead that it’s “very unlikely” she’ll run for governor. The sun coming up in the west tomorrow. Arnold finding a spare $24 billion under the floor boards. Feinstein said “she is tired of being asked everywhere she goes whether she will run.” But given a golden opportunity to ensure that this would never happen to her again, however, she couldn’t manage to spit it out. How civic-minded of you, Senator. Calbuzz gave a pretty good ride to the article in LA Magazine, now available online, that complained that Mayor Antonio Villaraigosa has failed to come through with the progressive agenda he campaigned on in 2005. So it’s only fair to mention the counter-argument from Occidental college professor Peter Dreier up today on LAObserved, Kevin Roderick’s all-things-LA web site. “The appropriate way to evaluate Mayor Villaraigosa’s first term is whether he used the tools at his disposal to make significant progress in these and other areas, and how LA compares to other comparable big cities on these measures,” Dreier writes. You can find Dreier’s whole argument at LAObserved. While the Big Picture Team at Calbuzz prefers to view the foibles of state government from 30,000 feet (See: Convention, constitutional), our Green Eye Shade Division is equally committed to keeping an eye on that pesky budget deficit that has Sacramento in a mighty dither. Here’s their one word report from today: AAAAGGGHHHH!!! Just as Governor Deltoids and Delta Force Legis were limbering up to slash $21 billion from the budget, along comes analyst Mac Taylor to clue them in that the deficit is closer to $24 billion – not to mention that a great many of Arnold’s proposed solutions are bushwah. 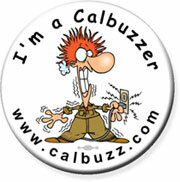 Greg Lucas, Calbuzz’s well-informed source about all things fiscal, blogs a complete report here.